Buddhas in varying sizes. 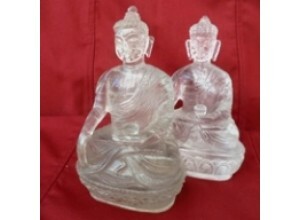 All finely carved statues of the highest quality selected personally by Windhorse Imports. Himalayan quartz crystal is especially valued for its power, coming from the depths of a mountain range used by spiritual practitioners for thousands of years. 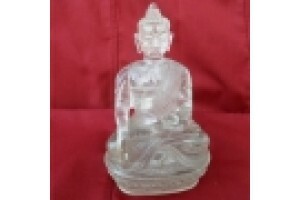 Sakyamuni Crystal Buddha . 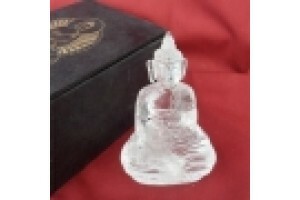 This finely carved Budd..
8cm finely carved and extremely clear crystal Amog.. 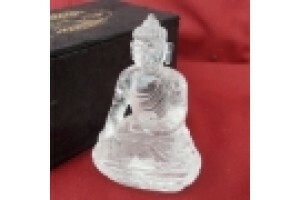 Crystal Buddha,8.5 cm (3.25") 148gms . Particularl.. 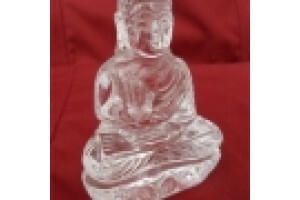 Crystal Buddha, 9.5 cm . 190 gms Finely carved cry..